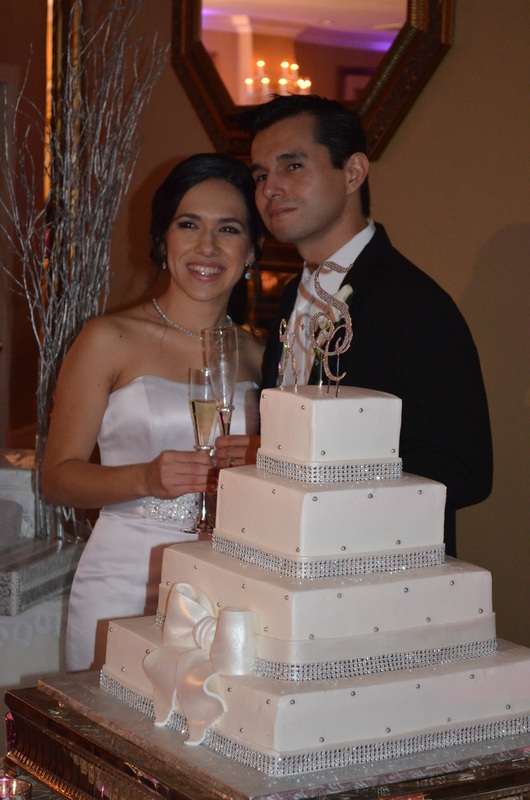 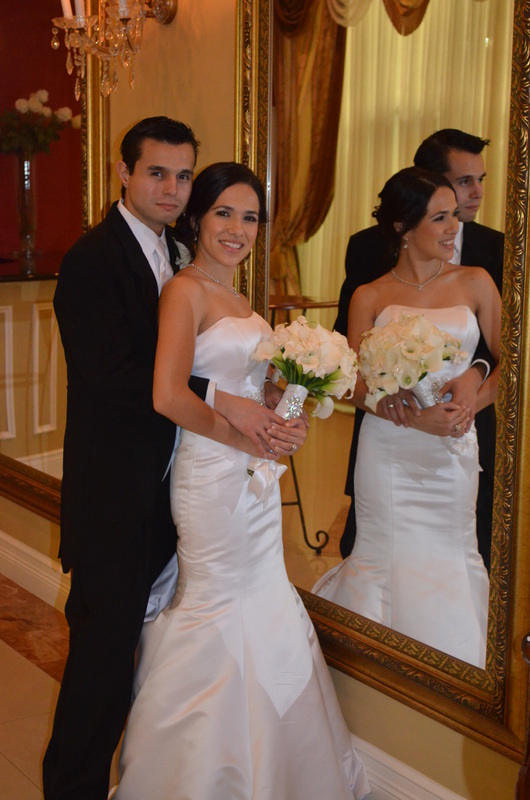 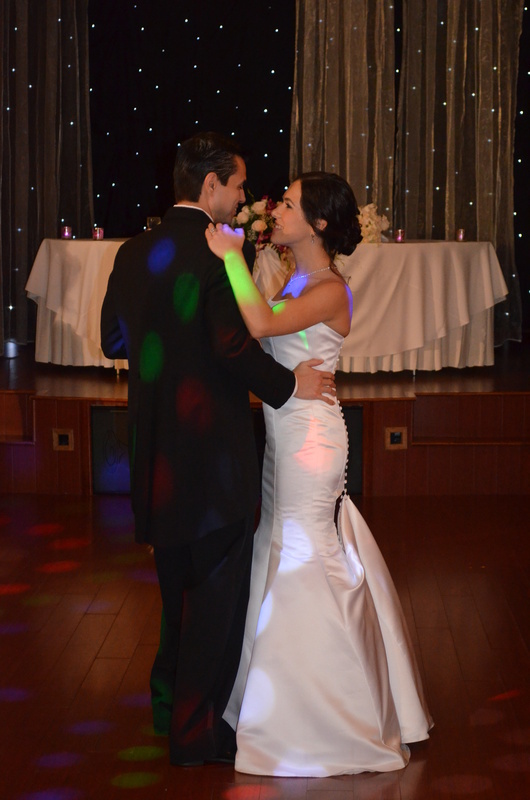 Kelly and Carlos visited almost all Wedding Venues in Miami before making their final decision. 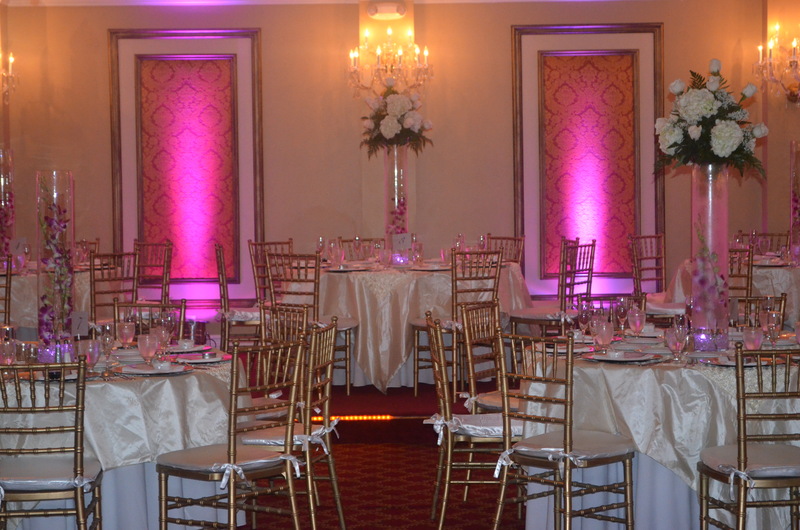 It was hard for them to find what they had in mind, an elegant venue with good packages and prices.When Kelly and Ashley came to Grand Salon Reception Hall they immediately fall in love with the venue decoration details as well as the different Wedding package options. 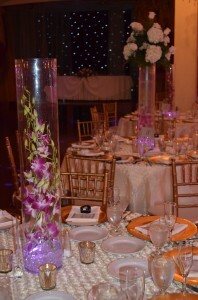 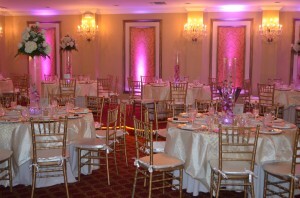 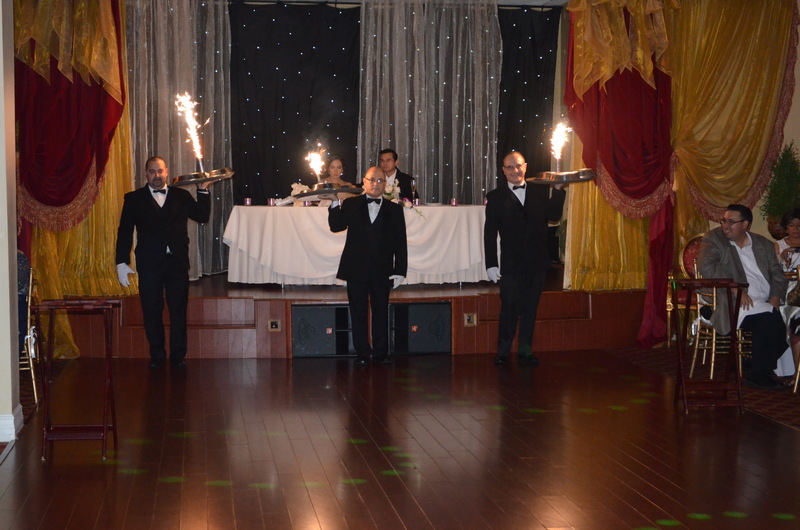 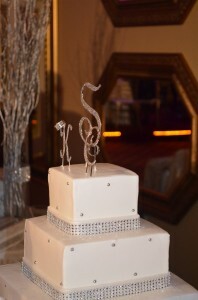 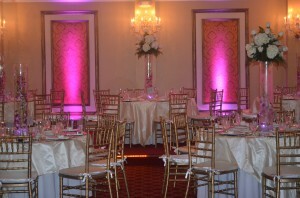 They had a very clear idea of the color and decoration they would like to have for their special day. 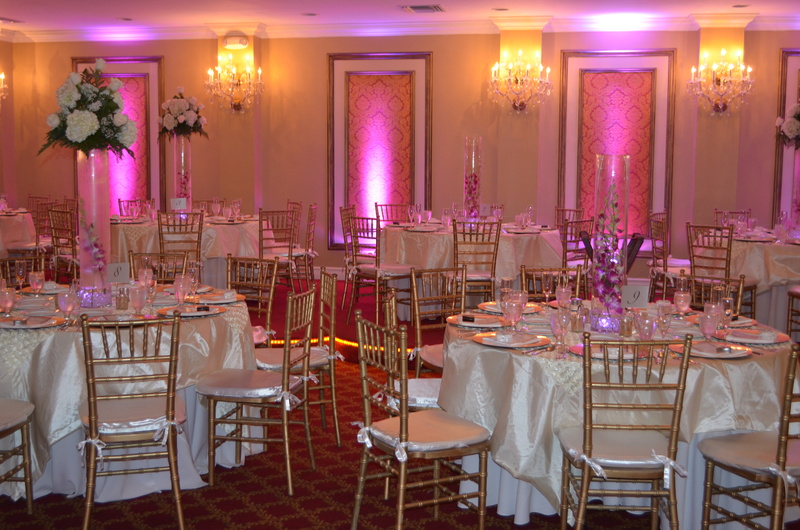 The white linen and the gold chiavary chairs created a romantic and sophisticated atmosphere while the hot pink up lights gave a touch of beauty. 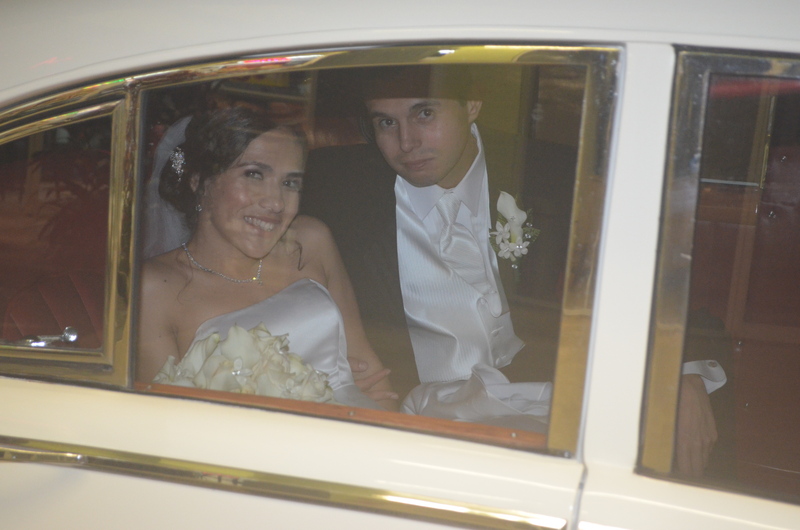 The couple’s entrance was very unique. 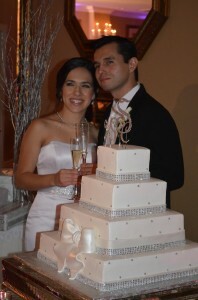 Their official presentation as husband and wife was under the compass of The Miami Heat song since Carlos works with the Miami Heat.The event was spectacular. Kelly and Carlos enjoyed every minute of the Wedding Reception. 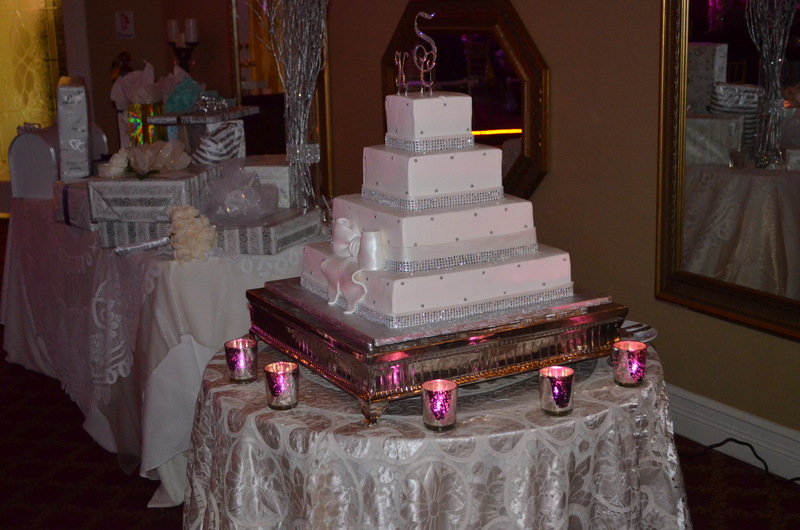 Kelly loved the idea of having their sweet heart table on the stage. 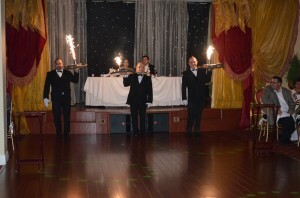 This was a very good spot to enjoy the dinner presentation with fireworks.